We are specialized in R&D of measuring solutions integrating optical diagnostics, image acquisition and analysis. At LFCR, the G2MP research team localised on the French Basque Coast at Anglet focuses on the mechanical behaviour of porous media, on the properties of confined fluids, on the fluid-solid couplings and on the transport properties in porous media. 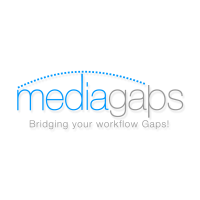 The G2MP develops experimental activities such as modelling ones based on numerical tools at different scales. This research team is highly multidisciplinary and gathers specialist in mechanics, physics or civil engineering focussing on porous media. - Programa CriAtividade® (www.criatividade.org.pt): Sistema de Aprendizagem inovador que desenvolve as competências para o sucesso no Séc. XXI em jovens desde o jardim-de-infância ao ensino universitário. VDI is a company specialized on smarthome. VDI designs and produces energy saving devices like smart thermostats, TRVs, electric radiator thermostats, power meters. VDI can offer a complete Internet of the Things platform to connect this smart devices to a cloud, as well as the user apps. 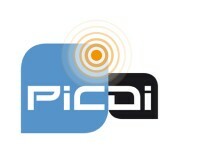 VDI manufactures its producucts mainly in spain. VDI can offer a complete solution, or electronic custom development services, as well as PaaS for the cloud platform. 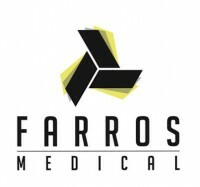 Farros Medical’s mission is to prevent work related accidents due to blood exposure. We have produced an array of needle-stick collectors whose purpose is to keep health care workers safe at the workplace. This new range of products has been specifically designed for and by healthcare professionals to better meet the needs of caregivers and medical facilities. Farros products provide greater security when discarding needle-sticks with their intuitive design and high-performance systems. TWave is specialized in the design and manufacture of CMS (Condition Monitoring Systems) for industrial machinery. We develop innovative solutions that integrate advanced technologies, helping our clients to protect their critical assets through online diagnosis. Our CMS TWave T8 is designed for Industry 4.0 and Predictive Maintenance by vibration analysis is its main area of application. Based on a web interface, it has been optimized to work fluidly while using remote Internet connections.